Start learning how to improve cycle times, achieve better surface finishes, & more with the new Mill Training Video Set. Loaded with over 11 hours of easy to navigate video instruction, this set delivers the training you need to machine better parts, faster and easier, for less. Start learning how to reduce programming times, improve surface finishes, & more with the new Lathe Training Video Set. Loaded with over 7 hours of easy to navigate video instruction, this set delivers the training you need to machine better parts, faster and easier, for less. Become a sign-making expert. 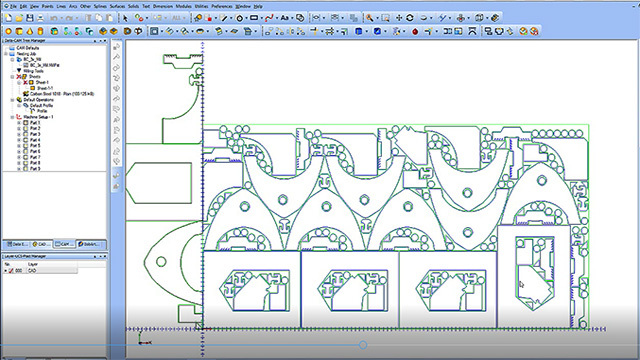 Learn how to take on any sign-making job by learning how to use all of the features and functionality inside BobCAD-CAM for 2D and 3D sign making. Start learning how to transform artistic design elements into geometry for embossing, engraving, and more! This new training video set will allow you to master artistic programming in an intuitive, progressive way so you can turn your most creative concepts into manufacturing realities. 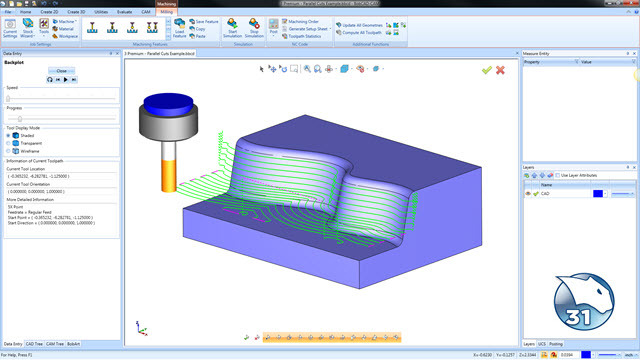 Start learning how to design and machine tight tolerance parts faster and easier. Our new Wire EDM Training DVDs show you how to master 2 & 4 axis wire EDM programming in an intuitive, progressive way that allows you and your shop to cut hard, expensive alloys with precision. 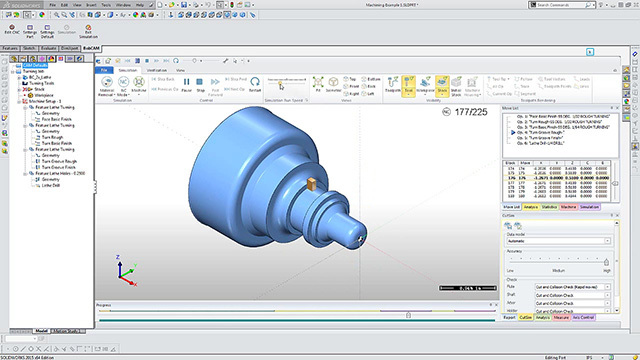 Learn how to use key components in the latest CAD software to increase design productivity with the all-new Training Video Set. Loaded with over 4 hours of easy to navigate video instruction, this set delivers the training you need to design better models, faster and easier. The V28 CAD Training Professor Book & Video Series is a comprehensive learn at your own pace training solution designed to help you master 2D & 3D modeling. This series includes over 75 training videos, a digital workbook, and step-by-step lessons for each design feature. The V28 Mill Training Professor Book & Video Series is a complete learn at your own pace training solution designed to help you master toolpaths, simulations, and more. This series includes 185 training videos, a digital workbook, and step-by-step lessons for each machining feature. The V28 Lathe Training Professor Book & Video Series is a complete learn at your own pace training solution designed to help you master turning toolpaths, simulations, and more. This series includes over 120 training videos, a digital workbook, and step-by-step lessons for each machining feature. The V28 Mill Turn Training Professor Book & Video Series is a comprehensive learn at your own pace training solution designed to help you master mill turn jobs, MDI programming, and more. It includes 52 individual training videos, a digital workbook, and multiple examples to follow along with. The new V28 Multiaxis Training DVDs give you the power to master your CAD-CAM software for CNC multiaxis machine programming. Whether you’re learning the software for the first time, wanting a refresher, or training new hires, this DVD set will have you cutting complex parts faster than ever. Start learning how to fully utilize advanced nesting features so you can get more parts out of every sheet. Our new Nesting Training DVDs show you how to optimize nest programming in an intuitive, progressive way that allows you and your shop to maximize sheet yields on every job. Start learning how to work with artistic elements for CNC machining today. Our new BobART Training DVDs allow you to master engraving, embossing, and more in an intuitive way that allows you and your shop to transform your most creative concepts into manufacturing realities. The new BobCAM Mill Training DVD gives you the power to improve cycle times, achieve better surface finishes, & more with the new Mill Training Video Set. This video set will have you cutting better parts in less time. The new BobCAM Lathe Training DVD gives you the power to master your CAM programming for CNC lathe machines. Whether you’re new to BobCAM software, looking for a quick refresher, or need to train new hires, this video set will have you cutting better parts in less time. The new BobCAM Mill Training DVD gives you the power to master your CAM programming for CNC mill machines. Whether you’re learning to program for the first time, want a refresher, or need to train new hires, this video set will have you cutting better parts in less time. 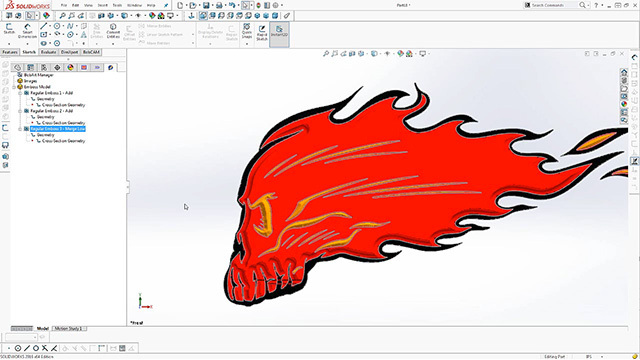 Start learning how to work with artistic elements for CNC machining today. Our new BobART Training DVDs allow you to master artistic programming in an intuitive, progressive way that allows you and your shop to transform your most creative concepts into manufacturing realities.